Do you have health insurance coverage? Did you miss the open enrollment period? 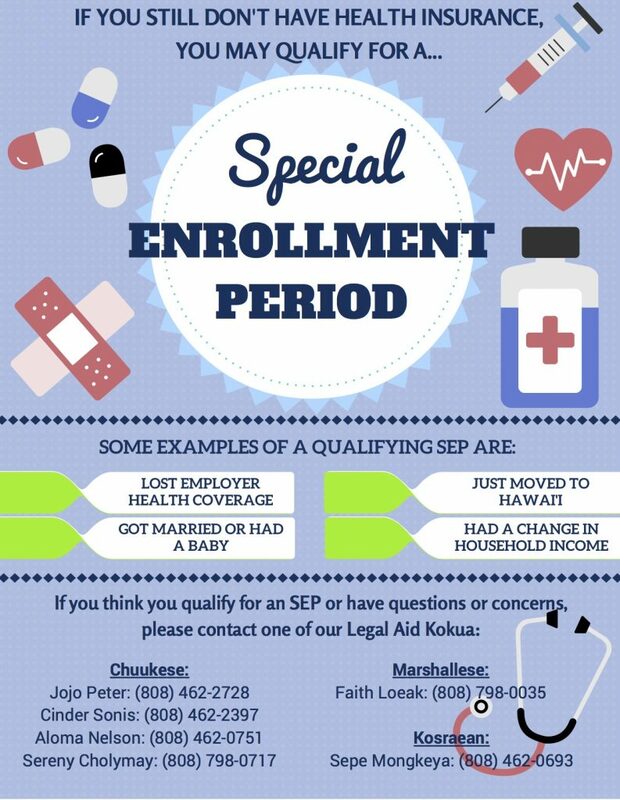 Kōkua are here to help you find out if you are eligible for a special enrollment and sign up for healthcare coverage.